Chief Justice of Pakistan (CJP) Mian Saqib Nisar said on Friday that he laid the foundation of judicial activism for the betterment of humanity, regretting that people were not being served justice like in the past, as per a report published in local media. While addressing a farewell ceremony held in his honour, he said people were not being served justice in the courts the way it used to be. He said he had been striving for the rule of law and he would request judges to not do it considering it their job. Speaking about lawyers, he said they were an integral part of the judicial system. “They (lawyers) have to work hard for they are to become Ijaz Hussain Batalvi,” the chief justice said, urging lawyers to pursue cases for the right. He further said they would announce verdicts on the basis of merit and would not let judges to be blackmailed. 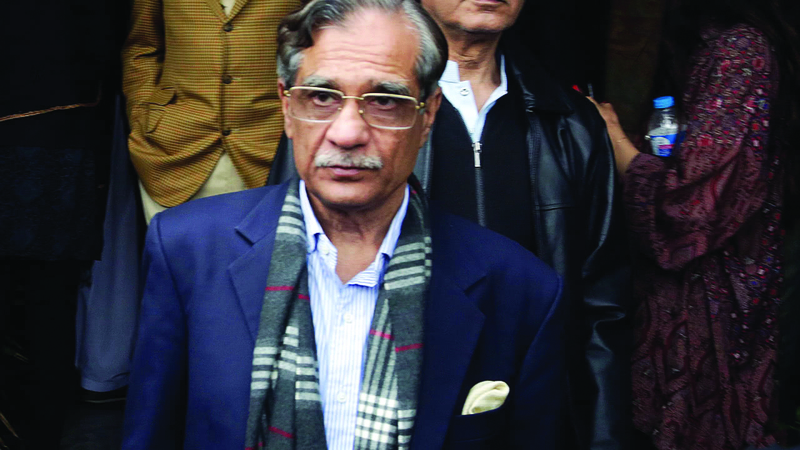 Justice Nisar said they were holding themselves accountable and expected the same from the entire fraternity. A full court reference will be held at the Supreme Court on January 17 on the retirement of Chief Justice of Pakistan (CJP) Mian Saqib Nisar. Chief Justice of Pakistan-designate Justice Asif Saeed Khosa, judges of the apex court, Pakistan Bar Council vice chairman, Supreme Court Bar Association president, attorney general, senior lawyers and others will attend the event. Chief Justice-designate Asif Saeed Khosa will assume charge of the office on January 18.